Tollywood actress Rambha left the film industry after her marriage and settled in Canada. Rambha has recently given birth to a second girl child in Toronto, Canada. Rambha gave birth to a daughter, Laanya in Toronto on January 13, 2011, and also another girl child on March 31, 2015. 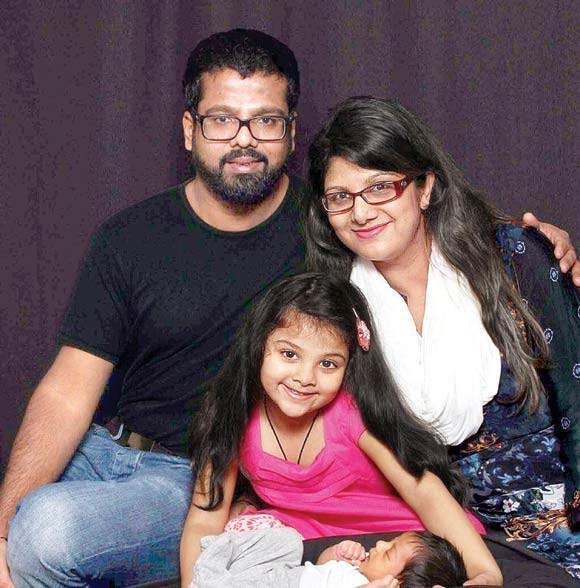 Rambha’s elder daughter named as ‘Laanya’ and now she named her second daughter as ‘Sasha’. Rambha got married on April 8, 2010, to Canada-based businessman Indhran Pathmanathan in Tirupathi. Have a look at Rambha’s latest complete family photo with her two daughters and husband! !